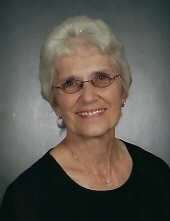 Janice Carstens, 81, of Lincoln, NE, passed away peacefully on April 3, 2019 in her home surrounded by her family. Born January 7, 1938 in Pierce, NE to Donald & Alice Kuhl. After graduating from Pierce high school in 1954 she taught for a few years before attending Wayne State. She was married to Gene Carstens on April 2, 1958. They farmed for a few years in Pierce before finding their forever home in Lincoln, NE. Janice retired after a long career with the US Postal Service. She was a dedicated wife, mother, grandmother, great-grandmother and friend. She was happiest just being with her family, attending their sporting events & school activities. She was recognized by many for her involvement with her work as an event staff at UNL. She was a faithful member of Christ Lutheran Church. Those left to cherish her memory include, Sons; Dean (Deb) Carstens, Jeff (Donna) Carstens, Daughters; Kathi (Jim) Foster, Rhonda (Randy) Bluhm, Grandchildren; Mitch (Sarah) Carstens, Sam (Nicole) Carstens, Tara (Hondo) Gonzalez, Cody Carstens, Kirsten (Austin) Rupp, Brooke Bluhm, Carsten Bluhm as well as 9 Great-grandchildren, nieces, nephews, extended family and friends. She is preceded in death by her husband Gene of 57 years and her parents. A memorial service will be held on Saturday, April 6, 2019, 11AM at Christ Lutheran Church (4325 Sumner St). To send flowers or a remembrance gift to the family of Janice M. Carstens, please visit our Tribute Store. "Email Address" would like to share the life celebration of Janice M. Carstens. Click on the "link" to go to share a favorite memory or leave a condolence message for the family.